I like it. 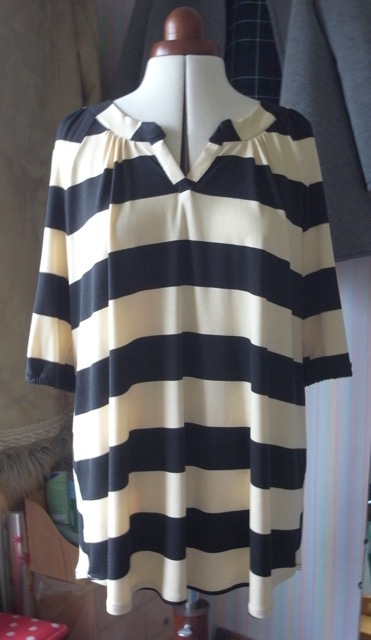 It’s bold and the stripe matching even with sleeves is well done. It looks great on the jeans. It has a kind of easy, cozy, comfy look. It’s such a great combo with the blue sneakers.